Is This The Last Great Season For Derek Jeter? Enjoy it now, Yankee fans. This will be Derek Jeter’s last great season. Growing up a non-Yankee fan in the New York area, nothing has grated at me more over the years than the intensity of the man crush that typical Yankee fans have on Derek Jeter. It reminds me of those old SNL skits about the Chicago Bears fans who think that “Da Bears” and Mike Dikta can do anything. Jeter can do no wrong in the eyes of love struck Yankee fans. And the annoying thing to a Yankee hater like me is that on or off the field, it often seems true although to be fair he has at times failed in the clutch. I’m a bit of a contrarian and nothing scares me more than group think, so I’ve had a hard time accepting the fact that Jeter is a such a special player to begin with. For years I thought that he was an OK fielding, good hitting shortstop who won the career lottery by being able to play in New York. And for years, I’ve patiently waited for Jeter’s inevitable decline. Yes, Yankee fans, even Derek Jeter will tail off due to the passage of time. He can’t play (at least at a high level) forever. This season, Jeter is 35 and having a terrific year. Annoyed by this, the only course of action available to me was to tell myself that this HAD to be his last great year. So, I started by taking a look at Hall of Fame shortstops. It was then that I realized that there simply weren’t many who were comparable to Jeter, at least as a hitter. For many years, baseball simply didn’t demand offense from the position. Sure, you have Honus Wagner and some other all time greats from the very early days of the game who have huge offensive stats, but I didn’t feel like that was a fair comparison. The three relatively modern players who seemed closest to Jeter as hitters were Ernie Banks, Robin Yount, and Cal Ripken. Banks hit over 500 homers and clearly had way more power than Jeter or the rest. Yount won two MVPs compared to none so far for Jeter. 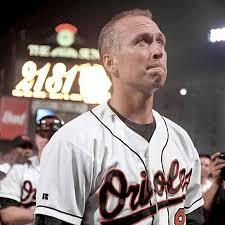 And Ripken, we’ll it’s the streak that printed his ticket to Cooperstown, of course. Feeling that Banks might not be the fairest of comparisons, I also decided to take a look at Barry Larkin. Larkin played short as a fixture for the Reds for many years and has career numbers within shouting distance of Jeter. Larkin may even end up in the Hall some day keeping Ripken and co company. So let’s take a look at Jeter’s possible future by seeing what Banks, Yount, Ripken and Larkin managed to do at bat after hitting the age of 35. As I noted earlier, Banks isn’t the best comparison. For one, he had way more power than Jeter, but more significantly he stopped playing shortstop at 30. 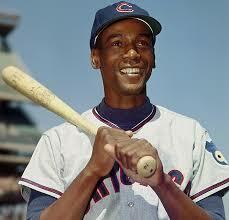 From ages 33-36, Ernie Banks was still pretty much Ernie Banks as a hitter. But at 37, he hit a wall. He still had his power. Hitting 32 homers as a 37 year old and 23 the next year, but his batting average took a dive. His highest average from age 37 on was .253, which is about 20 points lower than his career average. Banks finished out his career in 1971 getting in only 39 games as a 40 year old. The year before, he’d played in 72 games. 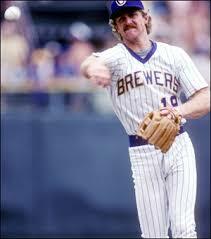 Moving on to Yount, who I initially thought might be a better comparison to Jeter than Banks. Only, it turns out Robin Yount was done at shortstop at age 28 despite winning an MVP at the position in 1982. What jumped out at me about Yount, is that the two time MVP was out of the game at 37. Jeter’s just two years from being 37. For Yount, 1989 was his last great year. He was 33 and it was the last of four straight .300 seasons. At 34, Robin Yount dipped to .247 and never hit higher than .264 afterwards. So what about Ripken? The iron man’s last great season came in 1996 at the age of 35, which was also his last year at short. Ripken hit 26 home runs while driving in 102 and batting .278. Those may not seem like amazing numbers now, but from a historical prospective that’s a lot of offense from a presumably steroid-free shortstop. In the next two years that followed, the games played streak went on, but in Ripken’s last three years he couldn’t stay on the field. From age 38 to 40, he played 86, 53 and 128 games in each season. Clearly, Ripken’s age had broken down the iron man. 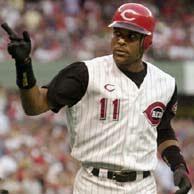 Finally, we go to Barry Larkin. Larkin may be the fairest comparison of all. Larkin played only shortstop, like Jeter. And like Derek Jeter presumable, Larkin only played for one club his entire career, the Cincinnati Reds. Larkin’s last truly great year was in 2000 at the age of 36. He batted .313 in the 102 games he played in. The next year he played in 45 games. At the age of 38 he played in 145. In the final two years of his career while his batting average was within shouting distance of his career average, he played in only 70 and 111 games. He was done at 40. So, what conclusions can we draw? A few, I think. First, Derek Jeter is a pretty unique guy. Not even some of the contemporary greats like Banks, Yount and Ripken managed to last at shortstop as long as he has. Derek Jeter belongs in the Hall of Fame. Third, as you get older it gets tougher to stay on the field. Yount was done at 37. The others all went on way beyond that. Banks, Ripken and Larkin were able to post respectable numbers into their late thirties. But, all three of them missed significant time. So, here’s the conclusion. Each year that goes by, it gets tougher for Derek Jeter to produce another great year. His numbers might not decline, but he may find that he’s not able to stay on the field. I’m not wishing ill on Derek Jeter. I’ve come to respect him for his accomplishments on the field and (now that I’m a dad) for being a role model off the field. But, the simple truth is this is very likely Derek Jeter’s last great season. So, whether you’re a Yankee fan or not, take time to enjoy Jeter now. Sandberg Says Sosa Shouldn’t Go To Hall of Fame! But, Why Is Sandberg In The Hall?? Hall of Famer Ryne Sandberg said in a recent sports radio interview that Sammy Sosa shouldn’t make the Hall of Fame due to Sosa’s use of performance enhancing drugs. Sandberg made the point that baseball’s Hall lists integrity as one of the voting criteria for election to Cooperstown. Rightly, Sandberg feels that Sosa and others like him who cheated the game should not be rewarded with sporting immortality. I could not agree more with Ryne Sandberg. It was brave of him to say it. 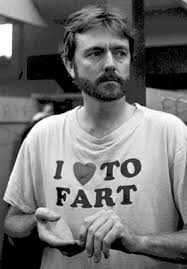 I’m glad he said it. Then, I got to thinking. Why exactly is Ryne Sandberg in the Hall of Fame? In parts of 16 seasons, Sandberg hit 282 home runs with 1,061 RBI, a .285 batting average and a .344 on base percentage. Not horrible by any stretch. In addition, he managed to win about 30 Gold Gloves. Still, a lot of guys had offensive stats like him and didn’t make the Hall anywhere as easily as Ryno. And some worked at much tougher positions that Sandberg. Sandberg contemporary Lou Whitaker played second for Detroit for 19 seasons. He didn’t win an MVP like Sandberg, but he did win a Rookie of The Year Award and won a World Series unlike Sandberg. Whitaker hit 244 homers, knocked in 1,084 runs, batted .276 with a .363 on base percentage. Whitaker didn’t win the 300 Gold Gloves that Sandberg managed to win in just 16 seasons, but he did win three as well as four Silver Sluggers as the AL’s second basemen with the most pop in his bat. It’s no slam dunk that Whitaker has a better Hall case than Sandberg, but they’re clearly in the same range. Yet, Sandberg got in relatively easily and Whitaker has never gotten a serious sniff from Cooperstown. And you don’t have to go much further. Take a look at Whitaker’s double play partner all those years in Detroit. 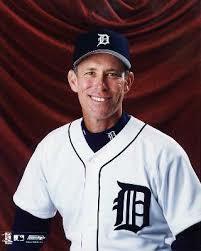 Alan Trammell’s stats include 185 homers, 1,003 RBI, .285 and .352. And this was all in an era in which shortstops didn’t need to contribute much to the offense. Yet, Trammell’s vote total seems to decline every year and didn’t start out with much Cooperstown support to begin with. We all know Joe Torre as a future Hall of Famer due largely to his managerial success with the Yankees. Yet, Torre’s stats as a player don’t look all that much different than Sandberg’s. 18 seasons, 252, 1185, .297 and .365. Torre has never threatened to enter the Hall as a player. Frankly, Sandberg’s career stats don’t even dwarf Ray Durham, who in 14 seasons put up 192, 875 along with a .277 batting average and .352 OBP. Ray Durham was a respectable major leaguer but he’s rarely confused with a baseball immortal. So, why are even his stats within shouting distance of Sandberg’s? I guess there’s a few answers for that one. Seems to me that Sandberg was undeniably talented. He won a lot of gold gloves and was beloved in Chicago. His really good years were on a different level than most of the other guys on this list and that helped his legend grow. The one MVP year didn’t hurt him at all either. It’s not that Sandberg wasn’t a good player. He was. Chicago knows their baseball. And again, he did pile up Gold Glove Awards year after year. It’s that Sandberg’s prime if you really look at it was too short to have merited getting into the Hall so quickly. On Sandberg’s page of baseballreference.com his page sponsor’s quote is that Ryno was the best Cub the sponsor ever saw. Guess he never saw Ron Santo, Ernie Banks, or Billy Williams to name just a few… And by the way, Santo’s not in the Hall of Fame. What Tom Glavine & The Ayatollah Have In Common! I love that expression. I’m sure it’s from a movie. Which one? Not a clue and I’m too lazy to use this Internet thing to look it up. Regardless, “it’s over, Johnny” are words to live by. Unfortunately, most people don’t. The hardest thing to know is when to quit while you’re still ahead. Everyone struggles with this. Politicians/dictators and athletes are no exception. Word today is that Tom Glavine won’t be pitching this year, but he’s not yet ready to retire. Guess he’s trying out the full time dad thing first to see how much he likes it, which is fine. Glavine’s had a great career. 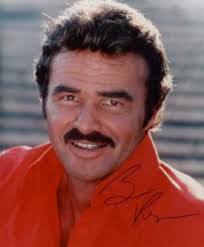 I’ve referred to him previously here as perhaps the second best pitcher named Tom ever. Two Cy Youngs, over 300 career W’s and consistency beyond belief are his calling cards to the Hall of Fame. The last five or so years of Glavine’s career have not surprisingly NOT been among his greatest seasons. The truth is Glavine hasn’t been the real Tom Glavine for a long time. He’s still a serviceable major league pitcher, but the question is for how much longer? He’s finally started to get hit with injuries and post 40 that’s a bad sign. Glavine’s made millions. He’s no longer the pitcher he was. It’s his right to continue on as long as someone will let him play in the majors. If he had any sense though, he’d hang them up now. It’s not going to get better and if he thought the way the Braves shoved him aside was bad, wait til some other teams decide he’s got nothing left. They’ll cut him so fast it will make his head spin. Dictators, excuse me, supreme leaders like athletes can get an over-sized belief in themselves. This is what happens when no one will say no to you. We all need people to check us or we’d all slip into a little self-delusion. Iran’s supreme leader, Ayatollah Ali Khamenei is suffering from some delusion. Amid all the recent street protests in Iran he gave a speech yesterday insisting the Iranian election was free from any irregularities. Hmmmmm…. The vote was a massive land slide in the current president’s favor and yet thousands & thousands smell a rat and are taking huge risks to express their displeasure publicly. Seems to me that the Ayatollah has a credibility problem. Much of this he has brought on himself of course. The supreme leader blessed the election results way too early and the result seemed beyond the bounds of common sense. It seemed plausible that Mahmoud Ahmadinejad may have won the election, but a landslide? Those two things tipped people off to the possibility of a fix, which in turn pissed people off. While Tom Glavine is fighting an unwinnable battle against aging, the Ayatollah is fighting a couple of unwinnable battles of his own. Khamenei is fighting a two front war and we remember how well that worked out for Hitler in WWII. The Ayatollah is battling the march of technology. For all their annoying qualities, things like Twitter & Facebook as well as the general presence of the Internet are proving very hard indeed to put down. In time past, a society could be relatively closed. With the advent of the Internet, we are all more connected than ever before. There’s good and bad in this, of course. In the case of the current situation of Iran, we’re seeing how the Internet can help people better their lives (hopefully). The second front Khamenei and his boy Ahmadinejad face is the collective will of their people. Sounds very Soviet-era, right? Be that as it may, once a nation’s people get to the boiling point it’s very tough to fight against that. Many a dictator and their repressive regimes have learned that the hard way. Khamenei was unable to quash the concerns of the Iranian people about their election early on either through logic or force. For a period of time, the protests will undoubtedly continue and perhaps grow. Ultimately, the Ayatollah may survive politically. But the genie is out of the bottle. Iran may not face change immediately due to the protest movement, but rest assured it’s over for the current system. It’s just a question of how much time it has left. Both Tom Glavine and the Ayatollah would be wise to get out while they’re still ahead. How Many Push Ups Can An NBA Legend Do? Randy Johnson’s Crazy Journey To 300! Surly, 10 feet tall and now a 300 game winner. Congratulations to Randy Johnson, who besides being a guaranteed Hall of Famer, is also the pitcher who’s had the strangest journey to 300 wins. It’s amazing he pulled it off. Remember that Randy had something like 60 career wins by the time he was 30. THIRTY! A career is usually at least half way done by then! Anyway, below you’ll find a post I’d written toward the end of last year in anticipation of Randy notching #300 this year. Thought it was appropriate to re-post now. Enjoy!! 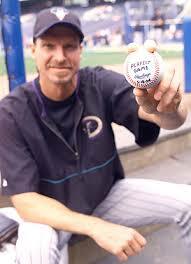 For those of you not keeping track, Randy Johnson is at 289 wins and counting. That IS mind blowing! I think the man is about 113 years old. He used to chart pitches for George Herman Ruth before he switched to hitting home runs. That lame joke aside, Johnson is a great pitcher for sure and he’s on the verge of doing something I never thought I’d see him achieve. He’s about to join the hallowed 300 win club. At 5-7 and with a plus 5.00 ERA, he’s not having a great year, but unless his back or arm gives out, you have to figure he’ll end up with about 295 or so wins by season’s end. Being that close, can anyone see Johnson not coming back to get 300? Johnson has played by his own set of rules. To get a better idea of how amazing his journey to 300 has been, let’s compare Randy Johnson to two of his contemporaries – Roger Clemens (who for this article we’ll avoid discussing the influences of possible steroids or HGH usage) and Greg Maddux. 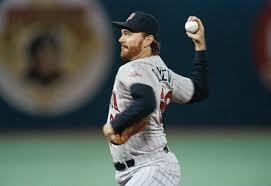 Randy Johnson didn’t become a full time starter until he was 25 years old. Even then, he wasn’t an instant hit. He went 7-13 that year. On the other pitching hand, Roger Clemens started 20 games as a 21 year old, 15 as a 22 year old and then went onto to full time ace status at the age of 23 when he went 24-4. Maddux got started even earlier than Clemens. His first full season was as a 21 year old. He really got rolling the next year when he won 18 at 22 and 19 games at the age of 23. So basically, Clemens was an ace at 23 and Maddux at 22. Three long years later Randy Johnson would finally be a full time starter and sport a losing record. So, to say the least, Johnson was slow getting out of gate to 300. If you can’t be an early achiever than it’s even more important to be durable once you do get your pitching act together if you want to hit 300. In his long career, Randy Johnson has been durable. But he’s also missed significant time. In ’96 (at age 32) he made just 14 starts. In ’03 (at 39) he made only 18. And last year (at 43 – OK so he’s not 113. I swear I read that somewhere on the net! ), Johnson made only 10 starts. Combine all that with the strike shortened ’94 season and figure Randy’s lost something like 65 starts to injuries and strikes. Comparing Johnson’s durability to Clemens and Maddux, you’ll find that Johnson comes up short to them on this count too. Since becoming a full time starter and not counting the strike year or his rent-an-ace half seasons in Houston and New York, Roger Clemens has only started less than 29 games in a season once. That was way back in 1995! 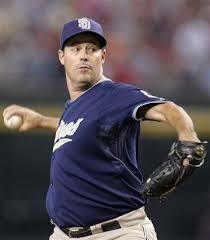 Greg Maddux, to his credit, has been even more durable than Clemens! In his long career, he’s only been under 30 starts in a full year twice not counting the strike year. All three guys are durable compared to most pitchers, but Randy trails both Clemens and Maddux in this category too. We touched on the first part of this 300 Win Club requirement in the STARTING OUT YOUNG section. Randy was slower out of the gate in terms of winning big than Clemens or Maddux. In fact, Johnson didn’t win more than 15 games in a season until he was 29! I’m too lazy to research it, but I have to believe there’s no other 300 game winner who didn’t win at least 15 games in a season before he was 29. Even more incredible, Johnson didn’t rack up a 20 win season until he was 33 years old, when most other pitchers are already on their way out of baseball! Contrast that with Clemens. He had two 20 win seasons under his belt by the time he was 25. Remember, at 25, Randy Johnson was 7-13! As for Maddux, he’s famously ONLY had two 20 win seasons but he put them up back to back at age 26 and 27. So, if Johnson didn’t win early than he must have won often, right? Let’s take a look. 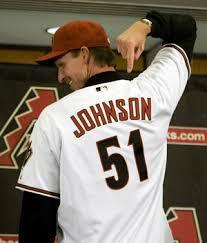 Randy Johnson has three 20 win seasons including a career best 24 wins in 2002 as a 38 year old. Clemens has six 20 win seasons. Maddux has only two 20 win campaigns but he’s also got eight other 17 plus win campaigns to his credit. Perhaps the ultimate model of consistency, Greg Maddux reeled off 17 straight 15 plus win seasons in his fantastic career. But, Johnson is no slouch in this category. The big lefty has ten seasons of 17 plus wins including his three 20 win campaigns. On the final point… Johnson’s best years were arguably at 37 and 38 years old when he went 21-6 in 2001 and 24-5 in 2002 for Arizona with sub 2.50 ERAs each year. It’s those two years that helped him catch up in the race to 300. Congratulations in advance to you, Mr. Johnson. May you pitch til you really are 113 years old!